An American classic. Who doesn't enjoy a good game of "stick?" 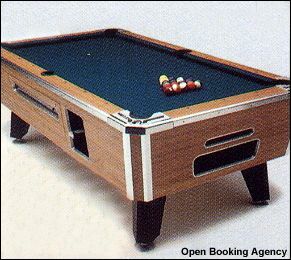 Complete with tables, balls and cue sticks.